CHICAGO – CyrusOne (NASDAQ: CONE), a premier global data center REIT, announced the availability of colocation services for trading firms on a new tower on the company’s data center property in Aurora, IL. Service is anticipated to begin early in the fourth quarter of 2018. The tower offers the first on-campus wireless access for trading firms and will support both microwave and millimeter wireless antenna colocation. The CyrusOne Aurora I data center houses the world’s leading and most diverse derivatives marketplace. Both the tower and the data center are owned by CyrusOne, which purchased the data center in a sale/leaseback transaction in March 2016. 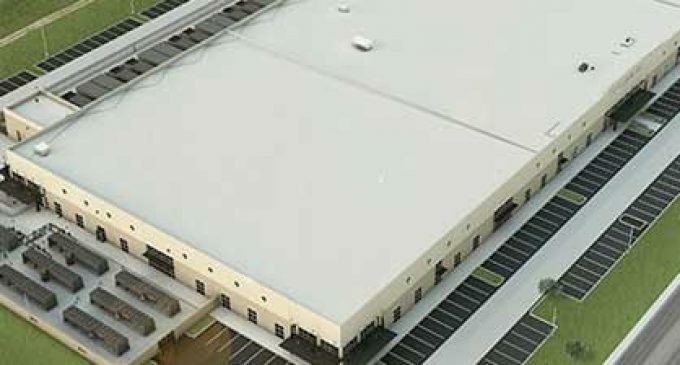 The company has since built another data center on the campus, with Aurora II providing an additional 50 megawatts of power capacity and 428,000 square feet of data center space. The tower was constructed by SBA Communications (NASDAQ: SBAC). The tower colocation offering adds an additional element to the ecosystem of financial service companies, asset managers, and traders that has developed on the CyrusOne campus. The combination of major trading platforms, multiple public cloud providers, traditional interconnection options, and significant onsite power and compute capacity is creating a rapidly growing financial services data center hub. CyrusOne operates more than 45 data center facilities across the United States, Europe, and Asia to provide customers with the flexibility and scale to match their specific IT growth needs. CyrusOne facilities are engineered to include the power-density infrastructure required to deliver high availability, including an architecture with the highest available power redundancy (2N).